Lesen Sie diese Seite auf Deutsch. Lees dit in het Nederlands. Lire cette page en français. Despite those in charge pushing a vision of the European Union as one big community with freedom of labour and trade, this does not seem to apply when online gambling is concerned. Contrasting laws in neighbouring countries make the landscape somewhat confusing, and what may be legal and accepted in one country, is frowned upon in another. When it comes to online betting, surely as the host government of the European Union, Belgium should adopt the core principles of freedom and competitiveness, on which the EU was founded. But do they? Quickly we will have a look at the best options for Belgian residents for betting online. Belgium have certainly gone against the general trend of increased liberalisation towards online gaming in recent years. Whilst most countries are reducing barriers to online betting and are adopting a more welcoming approach, Belgium have slapped severe restrictions on their citizens and bookmaking companies. This stance is fairly surprising, particularly as the approach adopted prior to the changes in 2011 was a liberal one. Betting shops are strong in number on Belgian land, with a plethora of different firms operating. British giant Ladbrokes have maintained a presence within the country since the 1980’s, with the ‘Magic Sign’ evident in nearly 440 locations. Online gambling was legalised in Belgium in 2002, at the same time when many other European countries were banning internet betting activity. The population enjoyed several years of unmonitored and unrestricted betting activity, until there was a noticeable change in policy, drawn up in the Gambling Act 2009. As of 1st January 2011, the new Belgian gambling legislation came into force. This included strict regulation of online gaming, with a closed licencing system. Online licences were limited to 9 for casinos, 180 for gaming arcades and 34 for wagers. Furthermore, another stipulation for online operators was that they had to maintain a physical connection in Belgium, such as setting up land based servers and getting a land based licence. Only those companies who operated in Belgium would be able to accept online Belgium custom. Since the implementation of the new legislation in 2011, the ‘blacklist’ of betting websites has been ever increasing. Whilst most bookmakers initially paid scant disregard to the Belgian laws, recent legal victories against the likes of Bet-At-Home (who challenged the legality of the blacklist), have seen the major European operators conform to the rules imposed. Obviously as Ladbrokes have had a physical presence in Belgium for over two decades, it was a natural progression for them to obtain an online licence. Bwin, another firm who had previously entered a legal dispute with the Belgian Gaming Commission (BGC), are now fully licenced, although when signing up on their website, citizens of Belgium are redirected to a ‘.be’ address. Betfair, who have also entered in a courtroom dispute with the BCG, appear to have succumbed to the requirements necessary to operate legally in the country and there are now no restrictions on sign ups on the premier betting exchange. Coral and Winner complete the select list of the major companies who are legally able to operate in Belgium. The situation with BetVictor is a little more unclear. They are happy to accept both Sportsbook and Casino custom, but Poker is not available to citizens of Belgium. Citizens in Belgium have access to a plethora of different payment options for their betting activities. Debit and credit cards are obviously the most popular, but Paypal, Neteller, Paysafecard, Skrill, Western Union and bank transfer can also be used on the vast majority of sites. As most betting websites that are accessible are now licenced in Belgium, there are few issues and restrictions when funding an account. Horse racing has always been a favourite pass time of the Belgians, with both conventional and harness racing being enjoyed at tracks such as Mons and Waregem. With world class jockey Christophe Soumillon hailing from Schaerbeek, and Belgium being in close proximity to the racing nations of France and the UK, its popularity is no surprise. Football is also a big betting sport in Belgium, especially with the national squad having their best team in recent memory. With superstars like Eden Hazard and Christian Benteke plying their trade in the English Premier League, interest in the in the game across the channel is high, and is reflected in betting activity. The Belgian Gambling Commission set a precedent when declaring strict new regulations on online betting, as part of the Gambling Act 2009. The prohibition of Belgian customers using unlicensed websites was greeted with derision and resistance from the bookmaking fraternity, but several trips to court have resulted in favourable outcomes for the BGC. 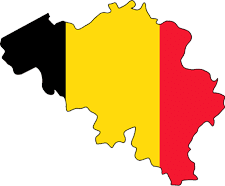 With some of the major firms such as Bwin and Betfair now seemingly accepting the rules by which they can hold a Belgian gaming licence, the number of potential bookmakers Belgian citizens can use, has expanded. Not having access to major football betting sites such as SBO and 188Bet will be detrimental for those who stake big and take their betting seriously, but for the recreational gambler in Belgium, there seems to be more than sufficient choice for horse racing, football and most other sports.